"Disguise/Gotta Love" is the collaboration between Amy Correa Bell and music Producer, BOZGO. Sharing a love for early dance music from the 80’s and 90’s, they wrote the song as a three part opus with the intention to give both a sense of nostalgia and retro cool. This concept incorporates organic percussion, funk guitar, analog synthesizers and Amy’s raw emotion in her vocals. The colorful lyrics describe heartbreak, redemption and strength at the end of a break-up. A distinct hook, solid groove and driving base line makes all three songs fitting for a late night dance floor, yet leave room for the listener to reflect on past relationships and unfulfilled expectations. Keeping it fun and focused, the "Disguise/Gotta Love" plays with the contradictions of human relationships and a throwback era. Amy Correa Bell grew up in the San Fernando Valley with a passion to entertain and embrace the vibrant sounds surrounding her. An 80's baby with Puerto Rican, Guatemalan, Japanese, and Jewish ancestry - this cultural diversity is parallel to her distinct style and taste. 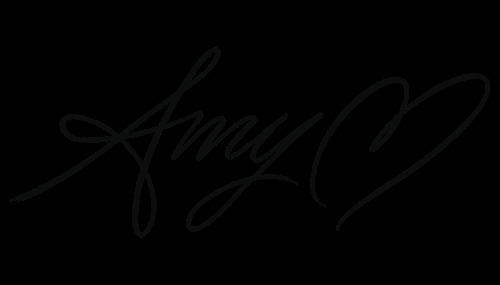 Often compared to Gwen Stefani and early Madonna, Amy's music incorporates pop sensibilities with an affinity towards underground dance music. Working with Silverlake based music producer, BOZGO (www.bozgo.net) on her latest release "Disguise/Gotta Love", she is embracing her love of 80's dance music and her taste for timeless/iconic fashion. She also recently released her first collaboration with husband, Ricky Bell (New Edition, Bell Biv Devoe) on their EP "GOLD". 2018 has proven to be a breakout year. A valley girl with authenticity, a fresh edge and the tenacity to stay original. LOVE: (n.,v.) Contending for the highest possible good in every situation, and relentlessly contenting until it's a present tense reality.